Neutrik opticamSWITCH fiber optic camera switch | PRO MUSIC, s.r.o. 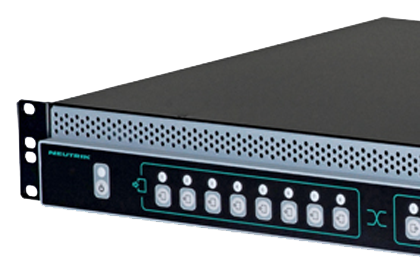 The opticamSWITCH is the ultimate solution for fiber optic camera routing within broadcast studios. The device allows switching of unlimited camera positions between several studios and control rooms, eliminating the need for high-maintenance, risky matrix patch fields using SMPTE patch cables.